We've been happy here for 25 yearssubmitted by Louise L. - Apr 03, 2019 |Recommended: YesWe've been happy here for 25 years. We have never had any problems with the staff at all. The staff has always been very helpful towards us. It's a quiet, clean community and it's nice to be here.  I am glad I chose Kingsrowsubmitted by Esther P. - Mar 08, 2019 |Recommended: YesSo far I have had a pleasant experience at Kingsrow. The location is perfect, close to shopping and Patco. My apartment size is spacious enough, very clean and updated when I moved in. The leasing office folks are the friendliest, welcoming and helpful people I’ve encountered. Maintenance has been great and quick to respond and being able to bring my large dog is a bonus. The complex is very quiet and the people are friendly. It is a good namesubmitted by Sumer M. - Jan 24, 2019 |Recommended: YesIts nice and quiet. This apartment complex could use some brushing up.submitted by Dereak K. - Jan 07, 2019 |Recommended: YesThe problem that I have is they charge us for everything, the apartments are outdated and the windows are drafty, which is probably what's raising our electric bill. But the staff and maintenance are very nice. NICE FOR THE VALUEsubmitted by April C. - Oct 05, 2018 |Recommended: YesGOOD LOCATION, MARKET VALUE OK, HOME IS WHAT YOU MAKE OUT OF IT. QUIET 90 OF THE TIMES. A FEW QUIRKS HERE AND THERE. PET FRIENDLY IS KEY MAINTENANCE TECHNICIANS ARE MY DOGS BEST FRIENDS PROPERTY MANAGER IS ALWAYS MY SOUNDING BOARD , EVEN WHEN SHE DOESN'T WANT TO BE. Nice place to livesubmitted by Manuel A. - Sep 26, 2018 |Recommended: YesIts a nice place to live just pricey for Lindenwold. Good starter homesubmitted by Colleen M. - Aug 28, 2018 |Recommended: YesThe buildings are updated cosmetically, but have many issues. The windows are poorly insulated one pane . We had multiple issues with electric bills being well over 200, due to our air conditioner ducts being improperly sealed. It took five times for the maintenance to fix the issues, mainly because the maintenance supervisor was rude and refused to listen to us that there was an issue. The man who came out the last time, Bill, was super friendly and helpful. Jill and Tyler have been nothing but helpful, kind and wonderful. Many of the building issues are beyond their reach, but they do everything they can to accommodate us. The only complaint about the property is the dog owners who don't pick up after their pets. We have two dogs that we always pick up after, but somehow always manage to step in other dog's poop. There are convenient doggy bag stations throughout the property that are always stocked, so there really is no excuse. We haven't had any issues with parking and we don't hear a peep from our neighbors, other than our one neighbor coming home and walking up the stairs. Overall, the community is quiet and friendly. If the buildings were in better shape, we would consider being here long term. For the price we pay 975 month plus 75 month for our dogs, and all utilities it's a decent place to live.